We’ve just made the best, better! Viaman Plus is based on the highly successfully, hugely popular original Viaman capsules and is a premium grade virility enhancement supplement. 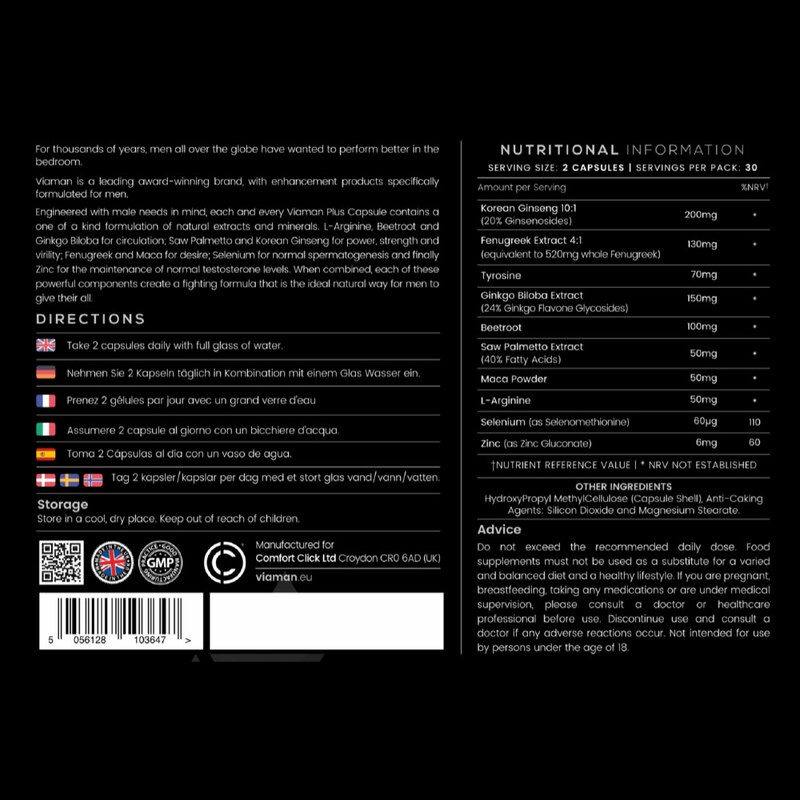 The unique formulation features a number of specialist ingredients, to help maintain areas of your performance and endurance. We suggest that you take Viaman Plus, as directed, for a minimum of 3 months; in order to properly assess what it has to offer you. This supplement is accessible to a wide range of men, including coeliac and vegetarians.